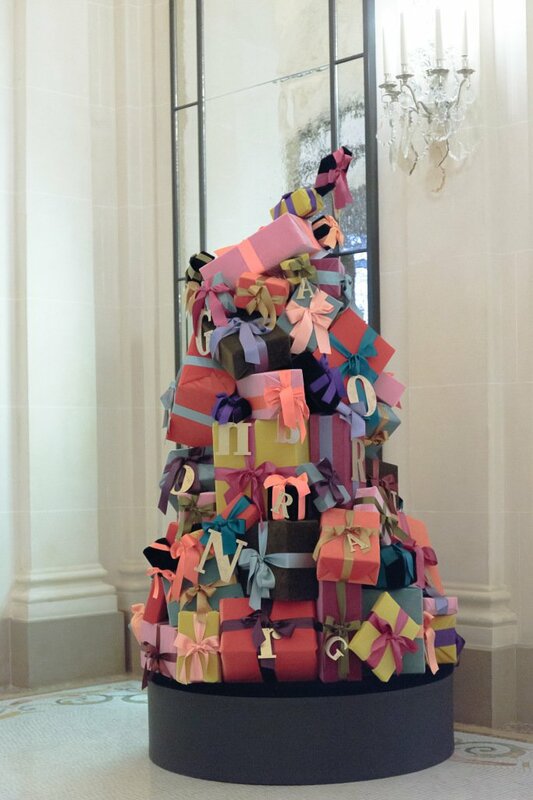 In Paris, world-famous designers and fashion houses, including Chanel, Dior, Jean Paul Gaultier, Elie Saab, Emilio Pucci, Emanuel Ungaro, Nina Ricci, Stella McCartney, Hermès and others, presented their vision of the Christmas tree in celebration of the festive season. 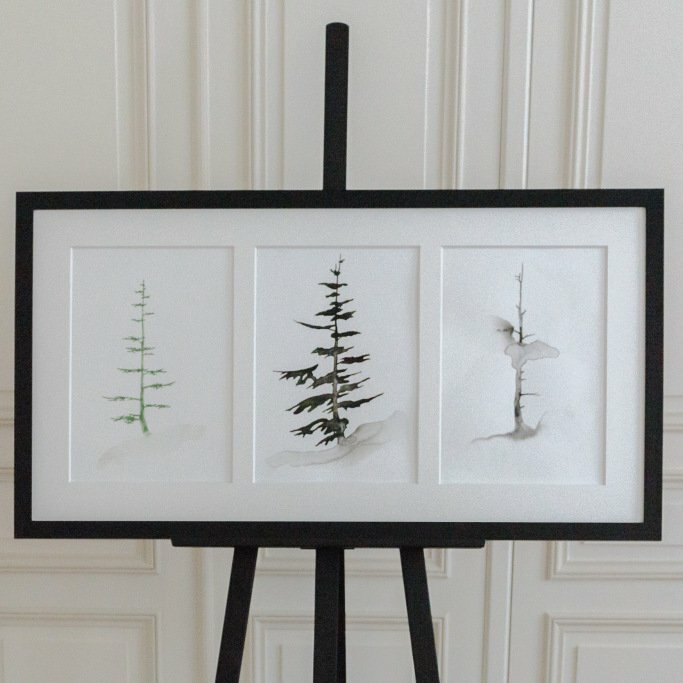 Twenty-eight houses, including Chanel and Dior, took part in the annual charity event. 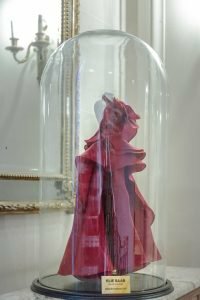 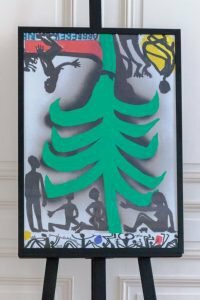 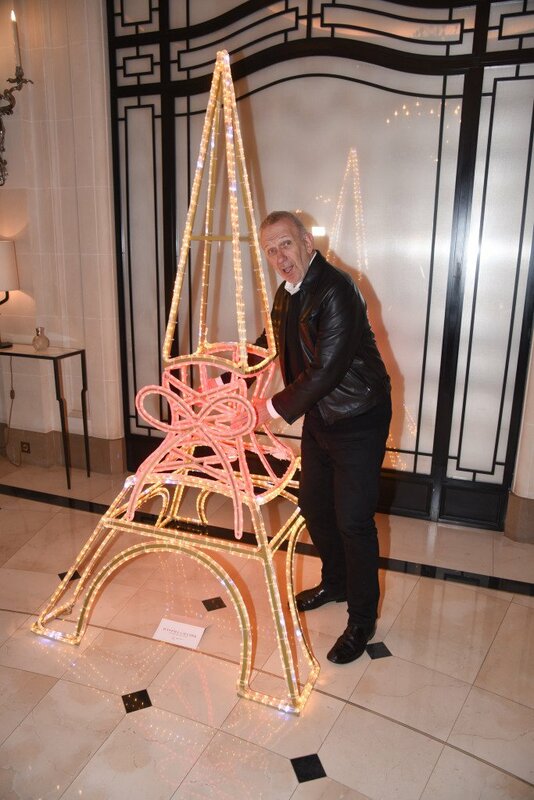 Twenty-eight houses, including Chanel, Dior, Olivier Theyskens and Elie Saab, entered creative Christmas trees to be auctioned off on the night in aid of cancer research, followed by a dinner at the Maison Blanche restaurant. 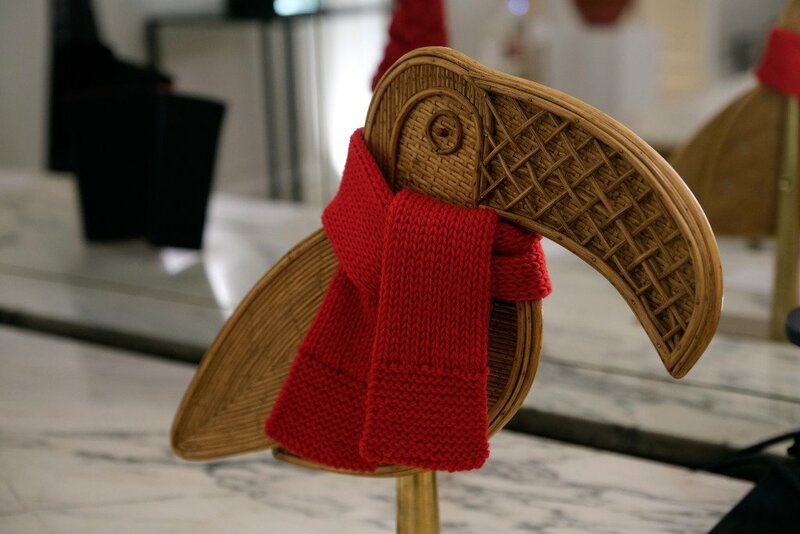 On a playful note, India Mahdavi for her lot presented a carved wooden toucan with a red knitted scarf tied at the neck. 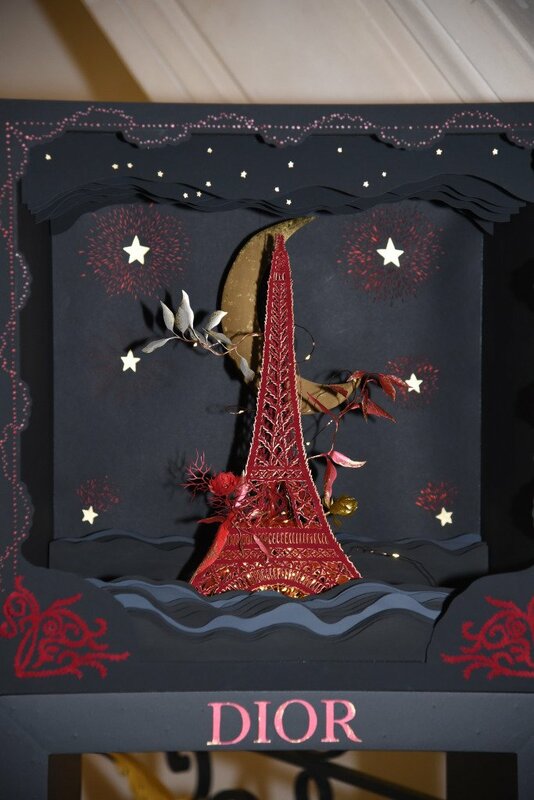 Chantal Thomass also wanted to break from tradition. “It’s not a tree, I’ve been doing trees for the past 22 years; I designed an object, a screen that lights up with printed fabrics,” said the black-bobbed lingerie designer, who has just released a furniture collection with Maisons du Monde. 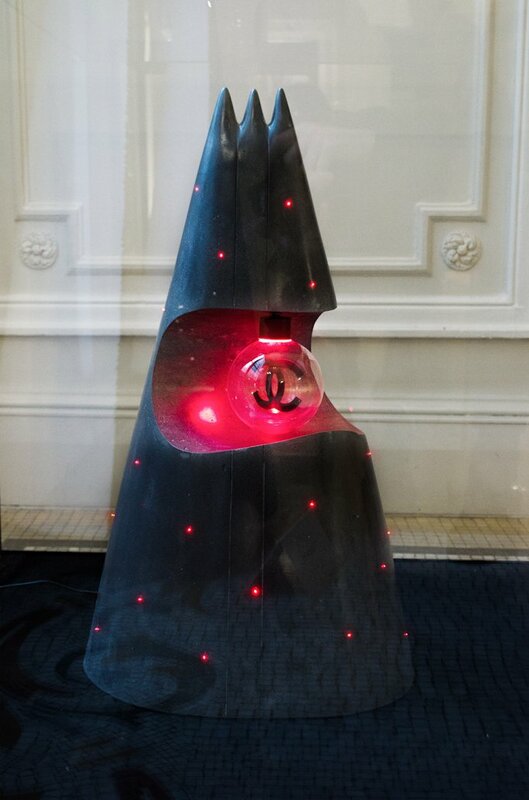 But Chanel’s entry — an abstract gray and red sculpture evoking a volcano, with an illuminated red cavity lit by a double-C lightbulb — created the most heat, generating 9,000 euros. 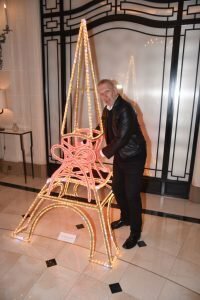 Jean Paul Gaultier’s supersized, illuminated Eiffel Tower-themed creation came second, going for 8,200 euros, with a total of 89,000 euros raised on the night. 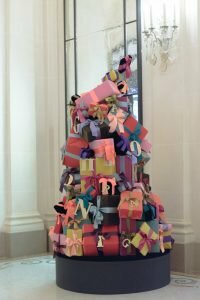 The 20th edition of the Sapins de Noël event showcased thirty-three trees which, as usual, had very little resemblance to the traditional Christmas tree. 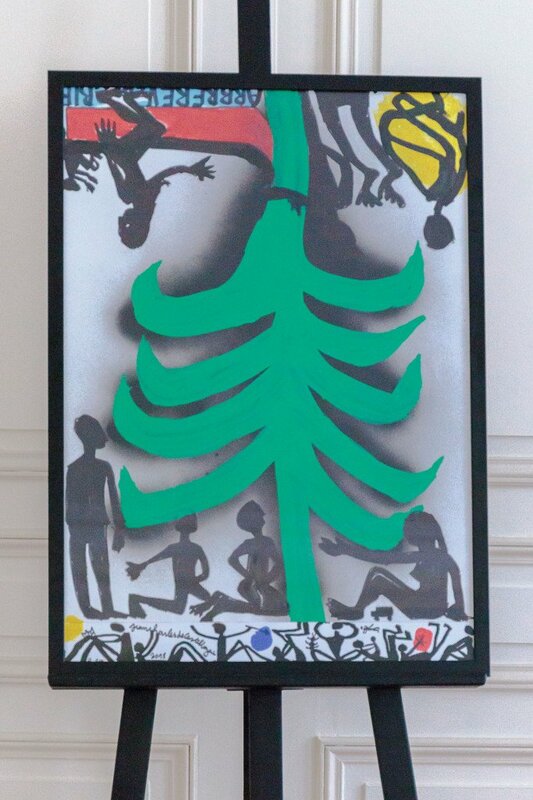 Some designers kept the general shape of the tree only, others departed completely from the traditional look. The festive event was held under the patronage of Pascal Morand, executive president of the Fédération de la Haute Couture et de la Mode.